​Planning for your exterior renovation doesn’t have to be difficult with our wide selection of free standing outdoor shade sails. 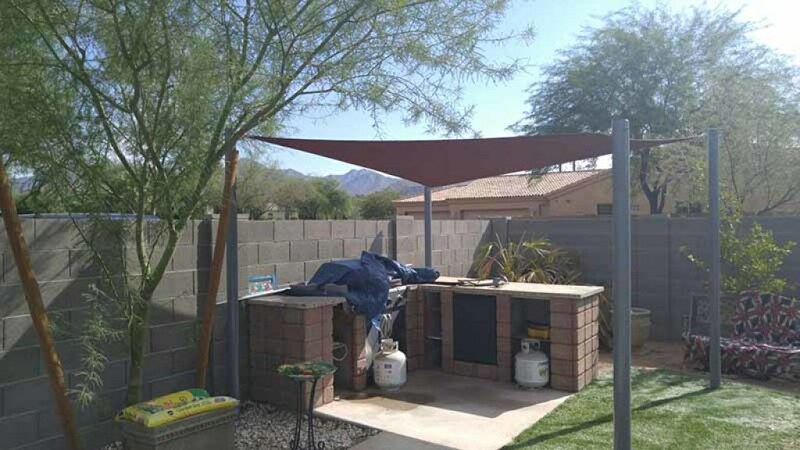 Designed with your unique space in mind, our fully customizable outdoor shade sails in Arizona offer respite from the heat of the midday sun, as well as adding to the charm and elegance of your personal space. Fully customizable to your needs, in a vast selection of colors, plan on upgrading your outdoor look today.